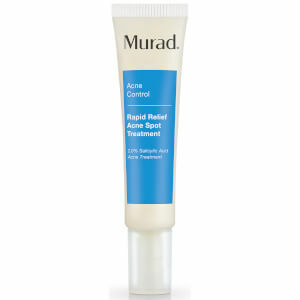 Achieve a clear, healthy-looking complexion with Murad Outsmart Acne Clarifying Treatment; a skin-refining formula with a natural citrus fragrance of Lemon, Lime, Tangerine and Lavender. Fortified with innovative Penta-Acid Technology that combines five powerful acids, including Glycolic and Salicylic, the soothing gel serum has been clinically proven to minimize the appearance of blemishes. Absorbs quickly to target blackheads and oiliness, whilst calming dryness and irritation to leave skin smooth and comfortable with reduced shine. 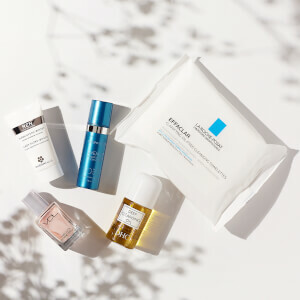 Cleanse skin thoroughly before applying product. Cover the entire affected area with a thin layer. Water/Aqua/Eau, Propanediol, Polymethylsilsesquioxane/Silica Crosspolymer, Dimethicone, Niacinamide, Polyacrylate Crosspolymer-6, PPG-26-Buteth-26, Salicylic Acid, Oryza Sativa (Rice) Bran Extract, Boswellia Serrata Extract, Oligopeptide-10, Tocopheryl Acetate, Glycolic Acid, Glycine Soja (Soybean) Seed Extract, Zinc Gluconate, Allantoin, Honey Extract, Sebacic Acid, 10-Hydroxydecanoic Acid, Silver Citrate, Glycerin, Urea, Yeast Amino Acids, Trehalose, Inositol, Taurine, Betaine, Cetearyl Olivate, Sorbitan Olivate, Cetyl Alcohol, Xanthan Gum, PEG-40 Hydrogenated Castor Oil, Butylene Glycol, 1,10-Decanediol, Disodium EDTA, Citric Acid, Sodium Hydroxide, CaprylylGlycol, Chlorphenesin, Phenoxyethanol, Sodium Benzoate, Limonene, Linalool, Fragrance (Parfum), Blue 1 (CI 42090), Yellow 5 (CI 19140).